The Internet in China may soon run out. According to the China Internet Network Information Center, under the current allocation speed, China's IPv4 address resources can only meet the demand of 830 more days and if no proper measures are taken by then, new Chinese netizens will not be able to gain normal access to the Internet. Li Kai, director in charge of the IP business for CNNIC's international department, says that if a netizen wants to get access to the Internet, an IP address will be necessary to analyze the domain name and view the pages. At present, most of the networks in China use IPv4 addresses. As a basic resource for the Internet, the IPv4 addresses are limited and 80% of the final allocation IP addresses have been used. By the current allocation speed, China's IPv4 address resource can only meet the demand of 830 more days. 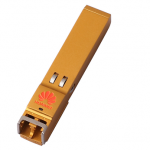 If there is no available new resource by then, new netizens will not be able to gain normal access to the Internet and the business expansion of network operators will be impossible. Li says that a new IPv6 network address, which is a basic network resource without these limitations, has been developed in America, but this kind of IP address is only used among educational websites in China. 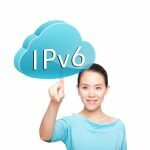 To use the IPv6 network address, network operators need to spend a lot of time and money on equipment updating. CNNIC now has started hosting seminars to remind the operators to apply for the remaining IP addresses as soon as possible for a storage in addition to call for a preparation for the providing of IPv6 addresses to netizens. China should approach some of the American companies with large blocks of IP addresses and offer to buy them. I'm sure cash-hungry corporations such as Ford would be willing to sell them for the right price. Jim your solution is nice, but why spending money twice? Upgrade the routers and hardware from the first time rather then waiting two more years to upgrade them! Why dont you just use the IPv6 adresses. Sure it will be alot of changing all over but sooner or later everyone will need to expand. Check iana.org for the details on IPv4 and why maybe the problem in China is not so bad. China is now no. 3 in the IP address range ownership list in 2008 beating Japan from no 4 position in 2007.